Hope everyone has an exciting, candy-filled yet super-safe night tonight. 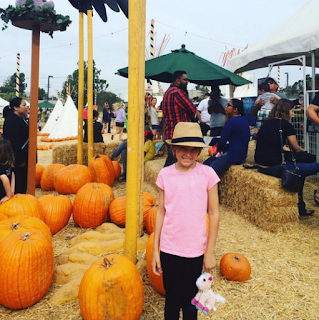 Last weekend, we visited the newly relocated Mr. Bones Pumpkin Patch, which moved to Culver City from West Hollywood. We love the pumpkin-filled patch, which also offers a bouncy pumpkin, a bouncy skeleton slide, a petting zoo and pony rides! So fun! In fact, we visited three years ago, when Will was barely out of the womb! While today is the last day to visit Mr. Bones, be sure to put it on the calendar for next year! A baby goat sniffs Will's foot. To eat or not to eat? I also tried out the new and free Instagram app, Boomerang, which makes short GIF-like videos of action. Check out this fun Boomerang of Will on the skeleton slide. 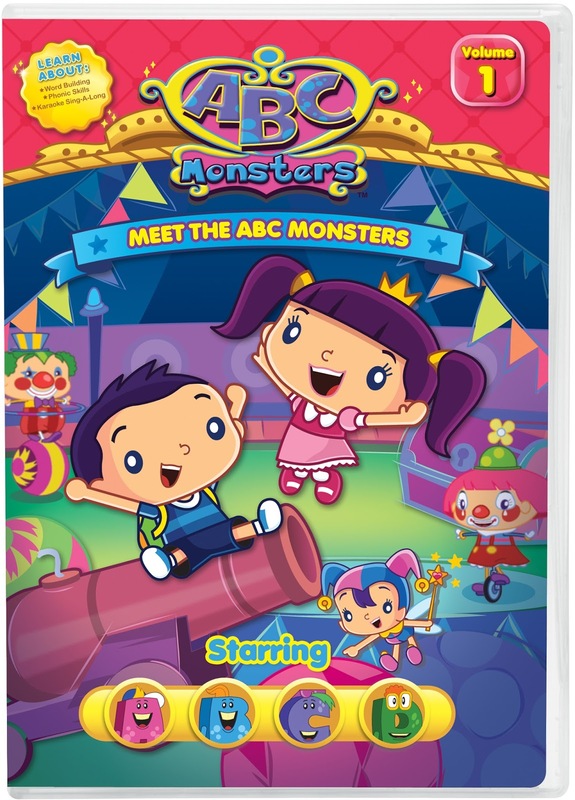 What better way to spend your birthday weekend than with that adorably curious monkey, Curious George? That's exactly the kind of weekend Will had last week for his 3rd birthday! 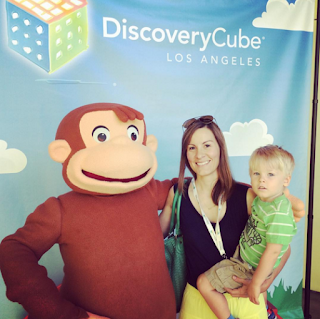 We made our way to the awesomely interactive Discovery Cube Los Angeles to check out its new small-child-friendly exhibit, Curious George: Let's Get Curious!, which runs through January 3, 2016. CC and Will show some sibling love on the space rocket slide. 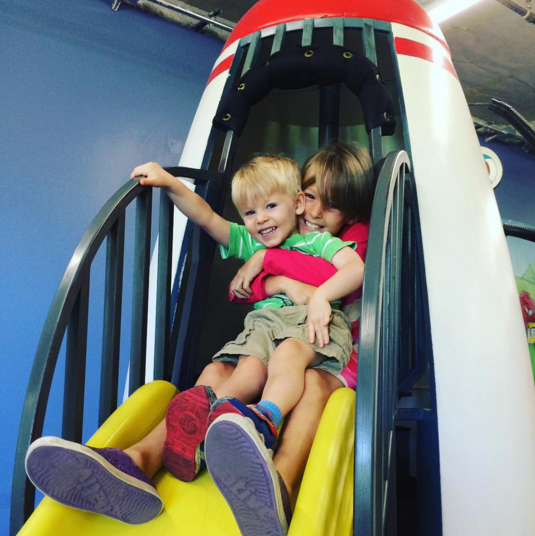 From rocket slides to wind power on the farm to mini golf greens, the Curious George exhibit offers lots of opportunities for kids to have fun exploring with their hands — and feet to boot. Exploring wind power with Curious George. Both Will and CC loved pretending they were in an apartment building, where they could play with a faux elevator and open mailbox doors to reveal fun photos and small dioramas inside. November: Every Saturday and Sunday! 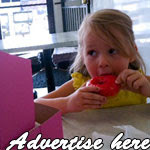 December: Every Saturday and Sunday, as well as every day from December 19th – January 3rd! Be sure to also check out the museum's Science of Hockey exhibit, created in association with the L.A. Kings. Every second Sunday of each month during hockey season will bring fun activities to Discovery Cube LA. It's Bailey from the L.A. Kings! 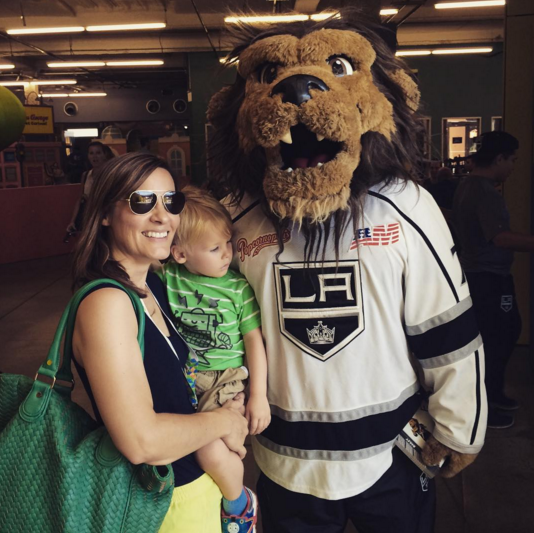 While we were there last weekend, we got to meet up with Bailey the Lion, and Will got to play a little street hockey. Not bad for a 3rd birthday weekend! Tickets: $10 for adults and kids through January 3, 2016. Kids ages 2 and under are free. What better way to celebrate Halloween than with some spooky animal-tastic fun at the Los Angeles Zoo?! 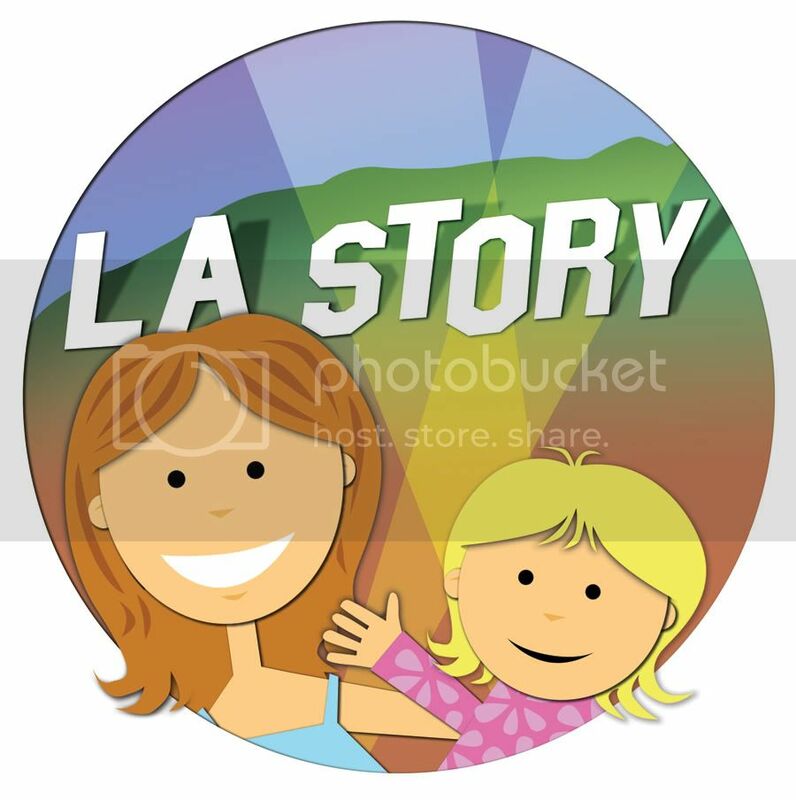 "Boo at the L.A. Zoo" kicked off on October 1 and, for the first time, runs through the entire month of October (from 10 a.m.-4 p.m. each day). From creepy-crawly caves that spotlight giant tarantulas (OK, so they're projections of tarantulas, but still super fun) at the Winnick Family Children's Zoo to a "Graveyard Safari" hay maze adventure to the "Boneyard" education station, families will enjoy the added Halloween-friendly festivities. Kids are invited to dress up in costume as they check out pumpkin-carving demonstrations, "Professor Johnson, Organ Donor's Haunted Halloween Musical Review," featuring silly songs and sing-alongs, as well as enter costume contests. Zoo educators are also on hand to teach kids about the slithery and winged creatures that call the zoo home. CC and Will got to check out a snake and a 2-pound but very strong owl. The kiddos will be excited to see seasonal feedings of animals such as the black bear on October 17 and the tiger on October 18. On Halloween, the zoo will celebrate the one-year birthday of Rosie, the baby hippo. And trick-or-treating will take place on October 24, 25 in addition to the 31st. And not only that, but themed crafts, storytelling, live music and strolling Halloween characters are also on the zoo menu. Everything is included in the price of admission. 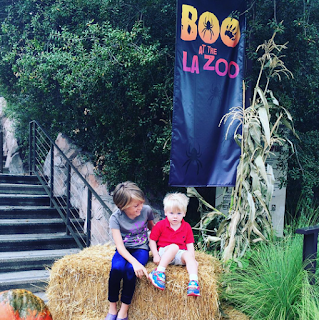 So before the season's over, make your way over to "Boo at the L.A. Zoo." 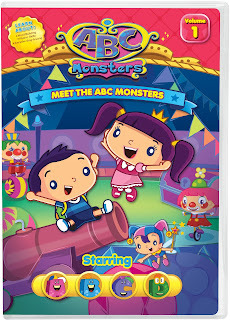 "Boo at the L.A. 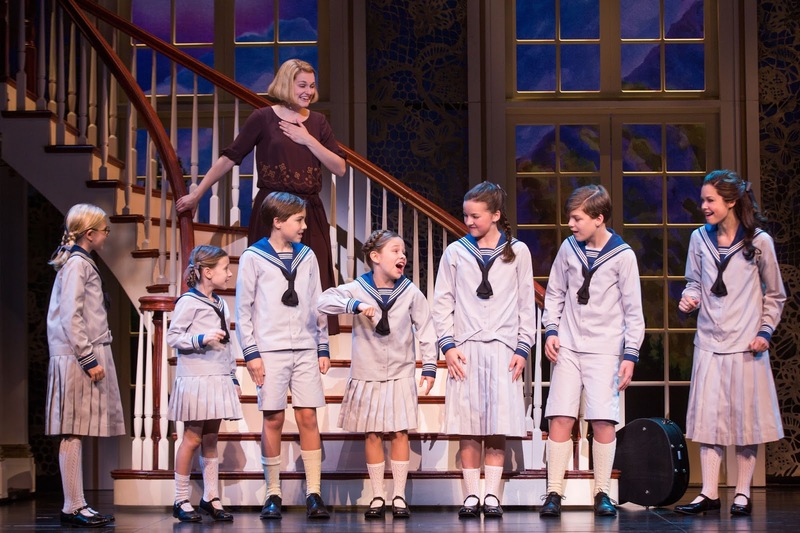 Zoo"
Kerstin Anderson stars alongside seven talented kids in "The Sound of Music." You know you must have "something good" if audience members like CC are immediately ready for an encore! That's exactly what happened last week when CC and I caught the opening night performance of "The Sound of Music" at the Ahmanson. 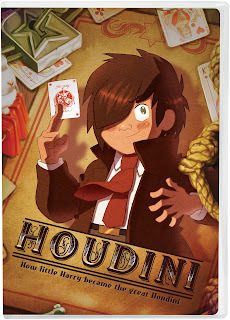 Not only was my 8-year-old often on the edge of her seat — literally — and singing about her own favorite things during intermission, but she asked me if we could catch another performance this weekend. Kerstin Anderson stars as Maria Rainer in the "Sound of Music" tour, which is directed by Jack O'Brien and playing at the downtown L.A. theater through October 31. Capturing the spirit of a young, flighty postulant at Nonnberg Abbey, Anderson endears herself to the Mother Abbess (the beyond-amazing Ashley Brown) and the audience as someone well-meaning but who doesn't exactly fit in. As the iconic movie celebrates its 50-year anniversary this year, watching the musical at the Ahmanson is a heartfelt reminder of just how wonderful the story is and how beautiful the songs are. And Anderson's voice knocks it out of the park — or should I say Alps? The story follows the young Maria who is sent by the Mother Abbess to be a governess to the von Trapp family. There are seven children altogether (Liesl, Friedrich, Louisa, Kurt, Brigitta, Marta and Gretl) and Capt. Georg von Trapp (Ben Davis), who treats his household like a naval ship. Maria quickly becomes an integral part of the children's lives — teaching them beautiful music and songs like "Do Re Mi," "My Favorite Things" and "The Lonely Goatherd" — and eventually becomes quite integral to Capt. von Trapp's life. In addition to the talented adult performers (Did I mention just how awesome Ashley Brown was? 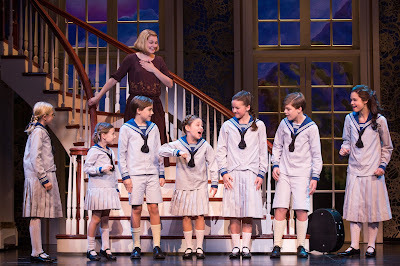 ), the actors playing the von Trapp kids looked as if they were having the greatest time. When I mentioned to parents that I was taking CC, the big question was about the Nazi element that so many people tend to forget is part of the story. Yes, the story takes place during World War II Austria as the Nazis are moving in from Germany. While that element plays are larger role in the film version of the story, the Nazi storyline certainly figures in to the musical. There is one particular scene, when the Captain sings "Edelweiss," that drives home the regime's influence in a striking visual way. That said, there's no violence or harsh language, and that part seems much smaller than in the film. Just be prepared to answer any questions about that infamous flag. CC and I had so much fun, and it was such an amazing mother-daughter outing where we could sing all the way home. To make it even more special, Kendall's Brasserie and Bar at the Music Center is offering a special themed children's menu (think Vienna chicken schnitzel and apple strudel, among other offerings) during the run of the show.